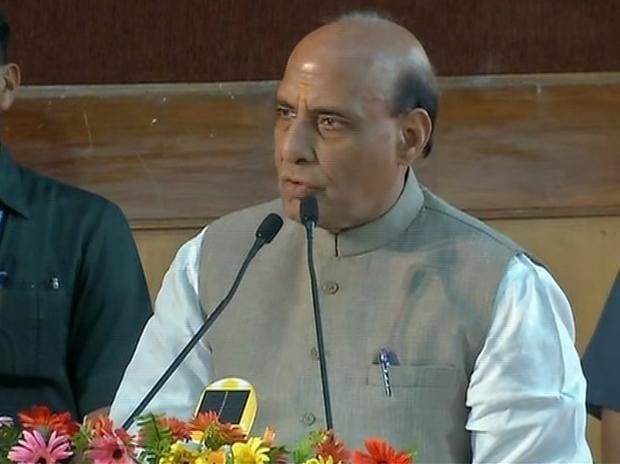 Union Home Minister Rajnath Singh Tuesday said the number of terrorists killed in the air strike by Indian Air Force on the training camp of Jaish-e-Mohammed in Pakistan's Balakot would be known "today or tomorrow". He claimed that National Technical Research Organisation (NTRO) system had informed about presence of around 300 active mobile phones at the site before the air strike by India. Charging the opposition of doing politics over the strike, the Home Minister suggested the Congress to go to Pakistan and count the bodies if they want to know how many terrorists were killed. "Some leaders of the other political parties are asking how many terrorists were killed in the IAF strike. Today or tomorrow, it will be known. Pakistan and their leaders' heart know how many were killed," Singh said while addressing the public after inaugurating a border project by the BSF. "Should our Air Force go and count the bodies after the attack -- 1, 2, 3, 4, 5...? What is this joke?" he questioned. "The NTRO, which has an authentic system, said that 300 mobile phones were active (at the Balakot site). Were these mobile phones used by the trees? Now will you (opposition) not believe the NTRO also?" Singh said. He said politics should not be done only to form government, but it should be done to build the country. "If my Congress friends feel that the numbers should be informed to them, then I would like to say that it you want to go to Pakistan, then go, count and ask people there that how many were killed by our Air Force jawans," Singh said.